We study native bees and the plant communities that support them in cities and restored lands of the Midwest. In partnership with Megan Heyza and the Eastside Improvement Association of Flint, we are planting gardens in the front yards of homes on the Eastside of Flint. Gardens represent one of two treatments: native plants or commonly used non-native ornamental plants in the Midwest. 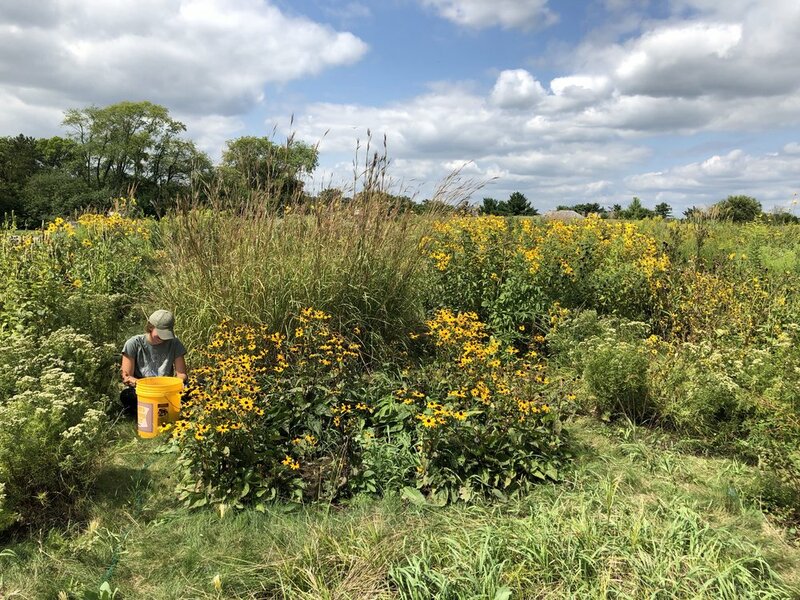 Together with undergraduate members of the lab, we plant and monitor the gardens completing pollinator observations over the next few seasons to see which garden type better supports our native pollinators.